While I may be more of a Pellegrino with a twist of lime type of girl, I still strive to know my way around the bar. From hosting intimate dinner parties (my favorite!) to grander soirées, there is always an occasion for a festive libation. In the mood for a tart Greyhound? Or perhaps bubbling champagne is your cocktail of choice? However, pray tell, which glass goes with which beverage? It can be oh so tricky to know! To help you decode the elusive puzzle that is drinkware and impress your guests next time you host a fete, I’ve created a detailed guide from Collins to Cordial and everything in between. Cheers! Highball: The taller sister of the rocks glass, this is used for a variety of tall cocktails that use juices and mixers (i.e., Gin & Tonic). 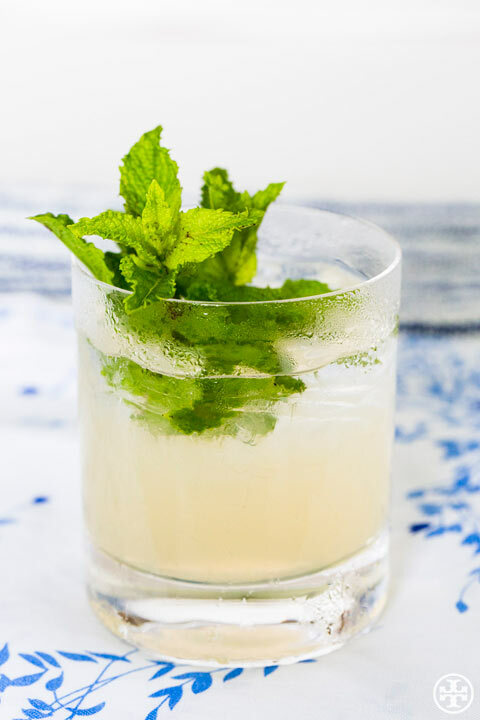 Collins: A tall and slender tumbler, this glass is used for its namesake, the Tom Collins, and sometimes Mojitos. Beer Mug: Boasting a proud handle, this is used to serve beer. Pilsner: Tall and tapered, this is used to serve beer. Mint Julep Cup: Silver and elegant, this iconic cup is used to serve its namesake, the Mint Julep. Margarita: Wide-rimmed for a sprinkling of salt, this is used to serve its namesake, The Margarita. Cocktail: Often referred to as a “martini glass,” this slim stemmed glass serves a wide range of cocktails from Martinis to Sidecars. White Wine: Petite in design, it is used for serving white wine. Red Wine: Featuring a grander bowl, it is used for serving red wine. Flute: Slender and delicate, this is used for serving champagne. Cordial: Typically holding 2 ounces, this small glass is used for flavored sweet liqueurs. Snifter: A wide bottomed vessel, this glass used for sipping aged liquor, such as brandy. Sherry: Tulip shaped, this glass is meant for serving sherry. Good post – wish it would of had visual images of the drinkware though.